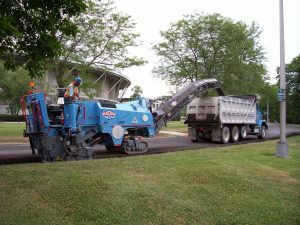 Recycling existing materials and using the RAP in lieu of virgin aggregate in the new asphalt pavement saves natural resources and energy. The process can be repeated over and over again on the same surface. 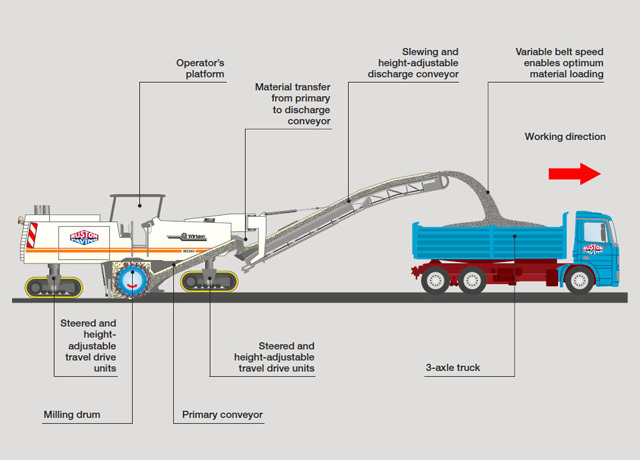 The RAP can be used in place of a portion of the virgin aggregate and asphalt binder, which can lower the energy and greenhouse gas (GHG) footprint of the material production process. RAP is re-used and thus kept out of landfills. Existing curb and gutter reveals are maintained. Bumps, ruts and other surface irregularities are eliminated. Under most circumstances, traffic flow is maintained and able to immediately travel on the milled surface. At a lower cost than reconstruction, maintenance budgets can cover a larger footprint.